Our clients choose Manly Property Management to manage their rental properties in Manly, because we provide a full range of property management services, including marketing, advertising, applicant screening, rent collection, resident management, and property maintenance. As a full-service residential property management firm in Brisbane, we offer the most comprehensive and cost effective Residential Property Management Manly solutions. Real Property Management is one of the industry leaders providing innovative processes and systems which are managed by a professional and well-trained staff of experienced managers, maintenance technicians, and accountants. Through our experience, our knowledge of the Manly real estate market, and our excellent customer service, Real Property Management suburb provides stability and security in the often-challenging world of investment property ownership. The suburb of Manly has remained a favourite with Brisbane residents for many years because of its bayside location and relaxed atmosphere. The suburb is located about 20km from the Brisbane CBD and is serviced by train, which takes about 35 minutes. Distance by car to the CBD is about 30 minutes along Wynnum Road – longer in peak hour. A wide cross section of couples and families are being attracted by the extensive redevelopment around the waterfront precinct and the street-scaping around the Wynnum and Manly areas. With very little land left in close proximity to the waterfront, homebuyers wanting the bayside lifestyle are renovating older homes and cottages, which has contributed to median price growth in the area. The Wynnum/Manly area is well serviced by commercial and retail precincts, which continue to thrive as the area gains popularity. Local shops and the Manly Village Shopping Centre provide Manly residents and visitors with a supermarket, bakery, butcher and chemist. The suburb is also well catered for with restaurants, café and bars. Weekends see the Manly Creative Markets held every Sunday morning down on the water’s edge at Little Bayside Park. Every third Saturday of the month is Jan Power’s Farmer & Fishermans markets. Little Bayside Park also hosts Movies In the Park during summer on Friday nights. Other events in Manly include the Halloween Street Party and Manly Harbour Festival. There are plenty of public and private schools (6 primary, 2 secondary and 6 kindergartens) in the Wynnum/Manly area and a TAFE campus located at nearby Alexandra Hills. There is also a School of the Arts and municipal hall acting as the hub of local activities. The closest hospital is The Wynnum Hospital and is located in Whites Road, Wynnum. Attracting homebuyers and visitors eager to make the most of the outdoor lifestyle, Manly has plenty of bike and walkways, a community swimming pool and a seawater wading pool. 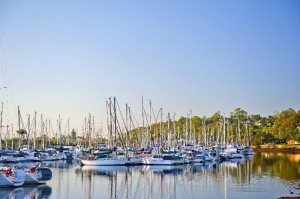 With immediate access to Moreton Bay, Manly is a boat owner’s dream with easy access to the Manly Boat Harbour and the coastguard. The area’s yacht club attracts interest from people all over the region. 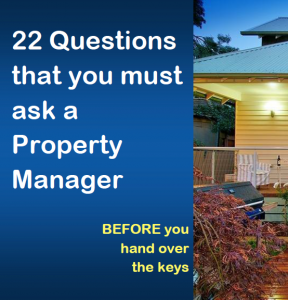 Real Property Management Australia are Manly Property Management specialists.